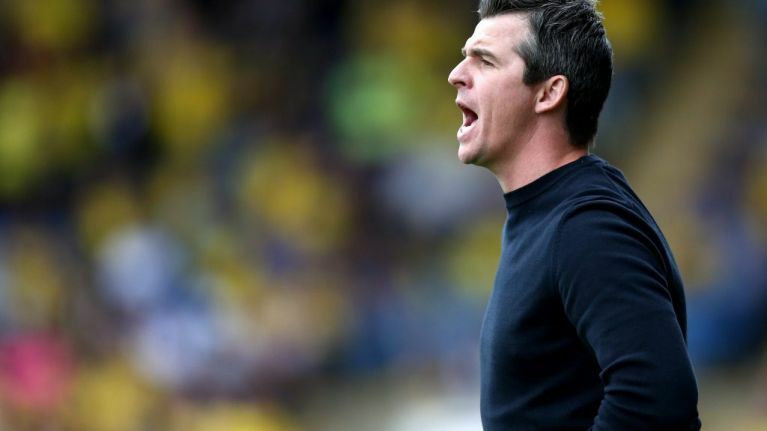 More details have begun to emerge around the incident which has led to Fleetwood Town manager Joey Barton being investigated by police, following him allegedly assaulting Barnsley boss Daniel Stendel. 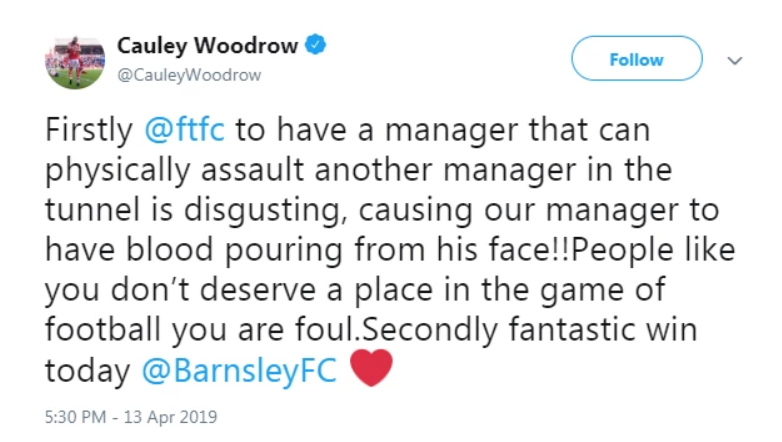 In a now-deleted tweet, Barnsley striker Cauley Woodrow said that Barton left Stendel with "blood pouring from his face". Woodrow has now deleted the post. 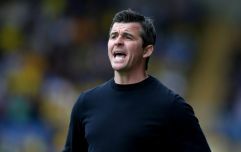 According to reports read out on BBC 5 Live Sport, Barton was involved in a "furious clash" with Stendel in the tunnel at Oakwell, and had to be "separated by stewards and police". Video on Sky Sports News appeared to show Joey Barton being stopped by police when leaving the ground, and being prevented from driving away. 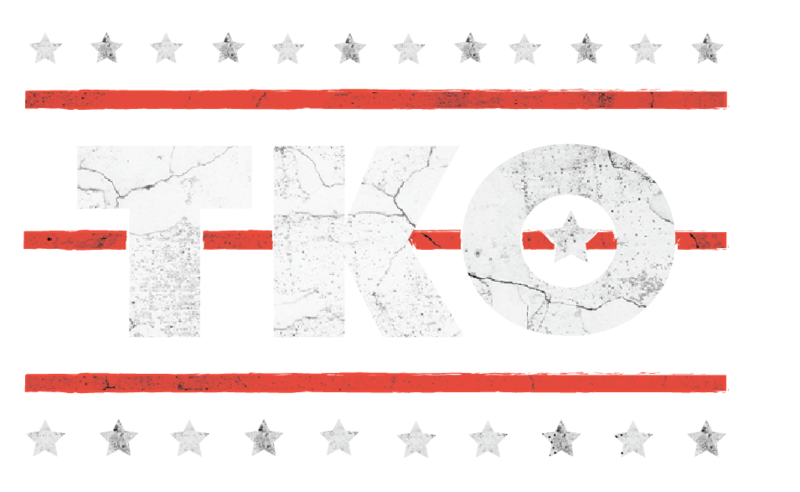 Sky have also said that they believe police have spoken to Barton, and will speak to him again later in the week as part of a voluntary interview. A South Yorkshire Police spokesman told Sky: "We are aware of something that has taken place in the tunnel after the game and we are investigating." Barnsley won the game 4-2, with Harry Souttar being sent off for Fleetwood.